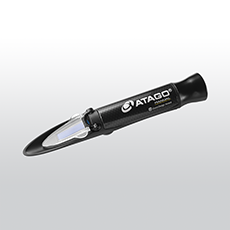 Product information "ATAGO MASTER-BR (Coolant)"
This refractometer can be used for measuring the concentration and freezing temperature of ethylene glycol and propylene glycol. MASTER-BR is equipped with material which is durable for salty and acid samples. Related links to "ATAGO MASTER-BR (Coolant)"